…look what arrived at Quilts for Comfort today!! This beautiful quilt was created by Lucie and has been sewn especially for a wonderful young man who is 19 and going through radiotherapy at the moment…radiotherapy is quite a tough ordeal,anyone who has gone through this treatment will agree it can make you exhausted and a cosy quilt is just what is needed. Quilts for Comfort would love to receive blocks,these blocks will be sewn together to make lap quilts, patterns for simple blocks are being posted under the heading “Block Patterns” at the top of the blog. I would also like to take this opportunity to say a big thank you to Eileen and Doreen who bought beautiful quilts into Quilts for Comfort to give to teens needing comfort,the quilts had been lovingly sewn by Doreen..hoping to post pictures this week. We recently put out an appeal for a couple of boys Quilts for Comfort. And we have been successful. 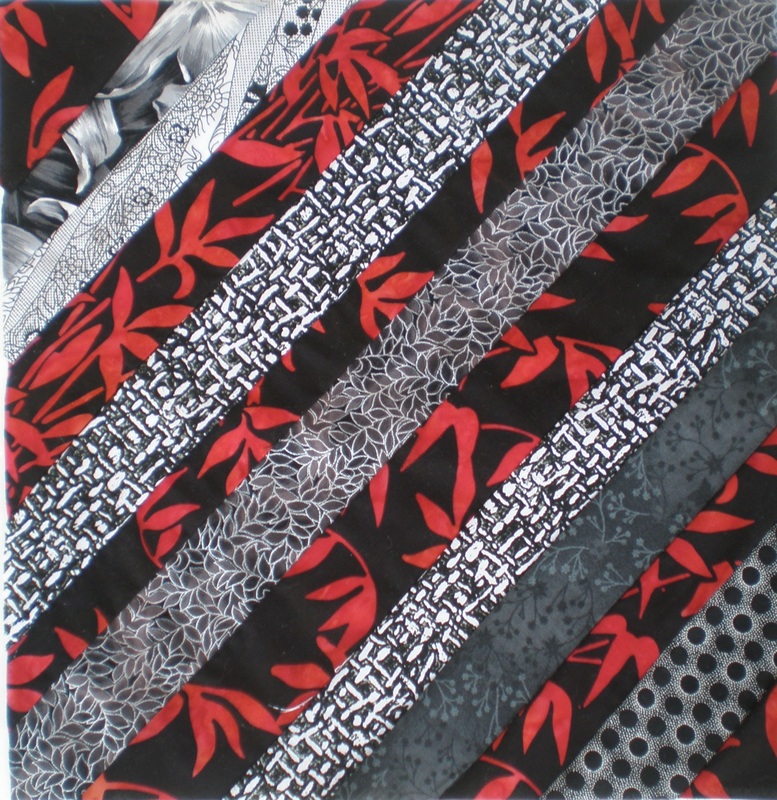 We have two such quilts arriving in the next few days. At the moment we have plenty of girlie quilts but we could really use a couple more for boys in reserve for the next requests. So we thought perhaps we could put out a different kind of challenge…. We know that it’s not always possible for someone to make a whole quilt to hand over to the Quilts for Comfort committee but perhaps you could make a 12” block. And once we have enough blocks, one of our volunteers will join them all together, quilt it and presto we have another boy quilt in the reserve. 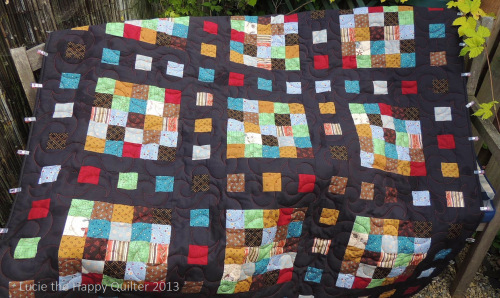 So if making a single 12” block is more suitable to you than making a whole quilt, please do. And just to help you along we have posted a block pattern that might get you started but we will be happy with any block pattern you use. We will be posting other block patterns from week to week. So be sure to check out our pattern page on a regular bases. We would really appreciate your help. Categories: Quilts for Comfort | Tags: Boys Quilts for Comfort, Quilts for Comforts Block Patterns | Permalink. everyday a new stitch is sewn in the Quilts for Comfort quest to deliver lap quilts to as many teens as we can that need comfort. As i type this post a striking quilt is sitting ready to be quilted, exciting knowing that this particular quilt will be on its way to a teen in foster care who will really be delighted to receive comfort from a quilt so lovingly stitched. Yesterday i had a phone call asking if Quilts for Comfort could supply 2 lap quilts for 2 teenage boys who are part of the teenage cancer unit..both young men 18 and 19 have said they would love a quilt (their request was “could it be boys colours and not pink or girlie”). I am hoping that we can gather a few boy quilts too as teenage boys seem to love them as well. can do for your fabric…. It has recently come to my attention that some of our teenagers fall thru the cracks. In my day-to-day role as a crafty art teacher loads of teenager cross my doorstep looking for help and advice. As a mother of five I have spent many happy years steering my own teenagers on the right path. Today’s teenagers grow tall and speak their minds but they aren’t always equipped or ready to deal with everything life throws at them. Life is full of conflict; family troubles, illness and so on. So in conjunction with different organisations in the Northeast of England such as the Teenage Cancer Trust, teens in care and teenage mothers-to-be and with the help of our many creative quilt makers who have made quilts and handed them over, we have started matching teenagers with beautiful patchwork quilts. With these quilts we hope to bring some comfort during the hard times. Just because a child looks like an adult doesn’t mean he/she couldn’t use a hug when things get difficult. We feel that our quilts might just be as good as a hug. So there you have it in a nutshell. We have launched a challenge, or perhaps you might like to call it an appeal, to anyone who would like to help bring comfort to teenagers who might be going thru a difficult time. This challenge was inspired by a lady called June when she handed me a quilt saying that it was a thank you gift for our family to give to whoever we felt needed it. So on that day the seed was planted, quilts for teens who need comfort. 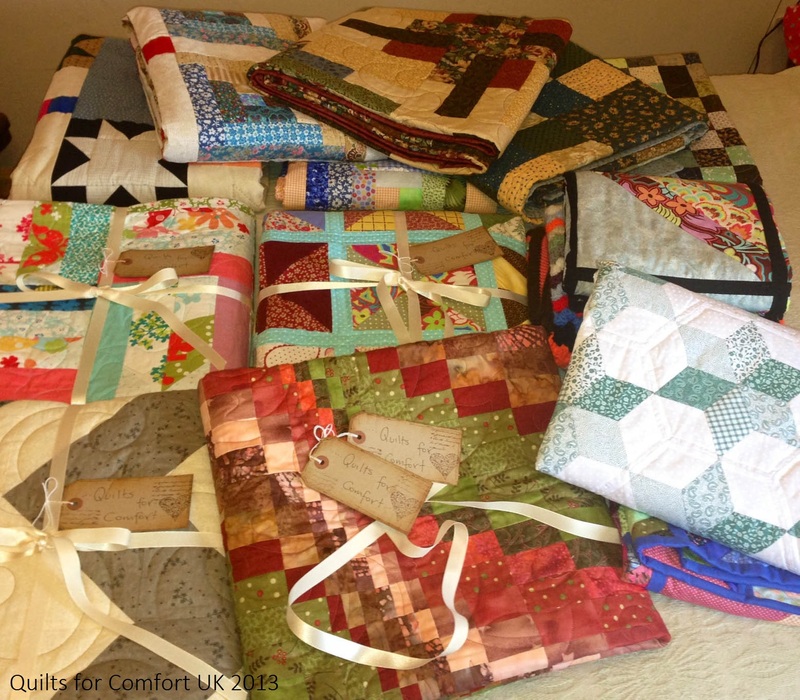 To date we have received some 18 lovely quilts which we will match up to teenagers in need of comfort. I’m very happy to report that the first five quilts will be delivered tomorrow. I would like to take this opportunity to thank June for joining the Quilts for Comfort Family and for spreading the good word about the challenge. I have loads more to tell you about this challenge which I will post about from week to week. So be sure to pop in regularly. 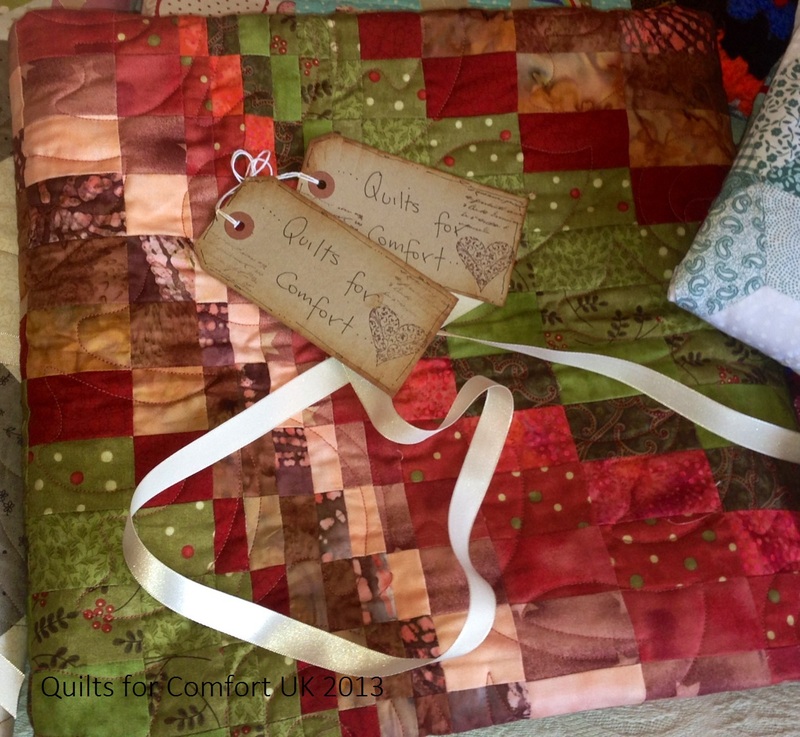 Categories: Quilts for Comfort | Tags: Creative Friends, Quits for Comfort Challenge | Permalink.